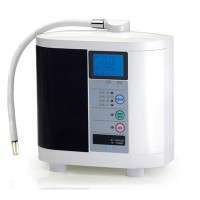 A2O is the direct importer/authorized dealer of original Japanese manufactured electrolytic water ionizer systems. We only sell products that we have total confidence in, and only those manufactured by reputable and well-established companies. Formed by a team of health-conscious individuals who benefited from drinking alkaline water, our goals are to disseminate the importance of a healthy pH, to provide quality alkaline water and unsurpassed customer service. You can count on us as your source of information and support. We welcome U.S. and International dealer inquiries. A balanced body pH is essential for optimal health. Normally, the body should be slightly alkaline ranging from pH 7.34~7.45. Modern lifestyles such as eating acid-forming foods, drinking alcohol and sodas, not getting enough sleep, smoking, and daily stress can alter your body’s internal balance. A2O water balances your pH naturally. It is water like no others— Healthy, Natural, and Ionized. It is the epitome of a healthy lifestyle—a balanced you. A2O water tastes great and enhances the flavor of all your foods and beverages. 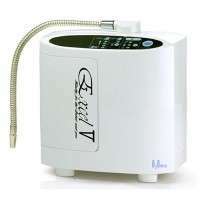 Its smaller water molecules enter the cells more easily for maximum hydration and detoxification. Antioxidants are substances that can prevent or slow the aging process and oxidative damage to our body. When our body cells use oxygen, they naturally produce free radicals as by-products. Over time, damages caused by free radicals may become irreversible and lead to health problems. Antioxidants neutralize free radicals and hence prevent and repair oxidative damages. A2O water’s unique and powerful antioxidant properties counteract the damaging effects of oxidation. It fights the aging process, enhances the immune system, boosts the body’s natural defense, lower the risks of cancer and other health conditions. A2O water is 10~20 times more effective than many known antioxidant supplements in the market. Just like the food you eat, the quality of water you drink everyday is directly associated with your health. All reverse osmosis (RO) filtered water in the market today does not contain any naturally dissolved minerals such as calcium, magnesium, and potassium. These alkaline- forming minerals are essential for good health. In fact, drinking pure or distilled water for prolonged periods may increase the risks of a variety of health problems. A2O water replenishes your body with naturally dissolved alkaline-rich minerals using the most advanced proprietary technology that is approved by the Japanese Ministry of Health, Welfare, and Labor. It gives your body the vital nutrients every time you drink—effortlessly. The environmental impact of the bottled water industry is profound. In California alone, more than one billion plastic water bottles end up in landfills each year, taking 1000 years to biodegrade and leaking toxic additives into the ground water. A2O water’s advanced ionization and carbon filter technology uses no added chemicals or substances. The alkaline water generated is 65~75% potable, unlike the 25~35% purified water generated by RO systems. Drink A2O water means you care about your health and the environment. A2O water can be conveniently installed in your home or office. It is very easy to use and perfect for the whole family—even most pets and plants. The design is compact, modern, and sophisticated that compliments any home decor. 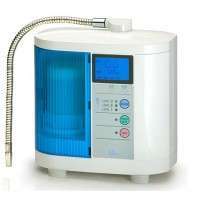 Its continuous water generation is powerful, efficient, and multi-functional: alkaline water for drinking and cooking, acidic water for toning, strong alkaline water for cleaning and washing, and strong acidic water for sanitizing and disinfecting.